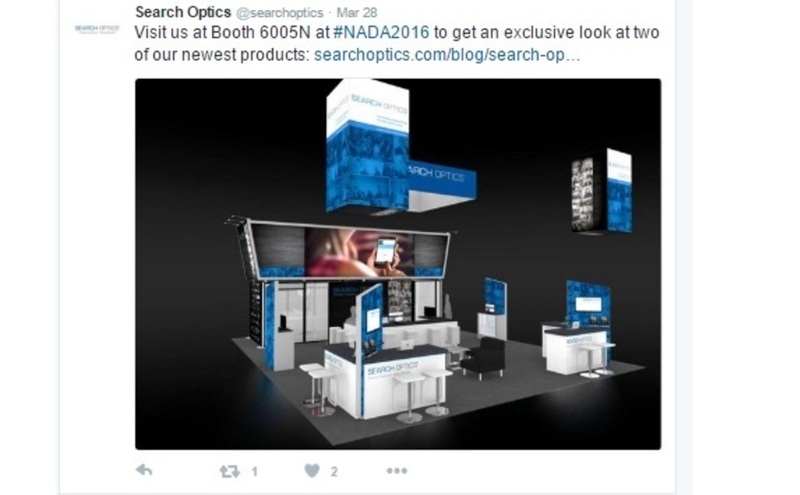 Search Optics found success with a new 30’ x 40’ Skyline exhibit at the 2016 National Association of Auto Dealers Show (NADA). 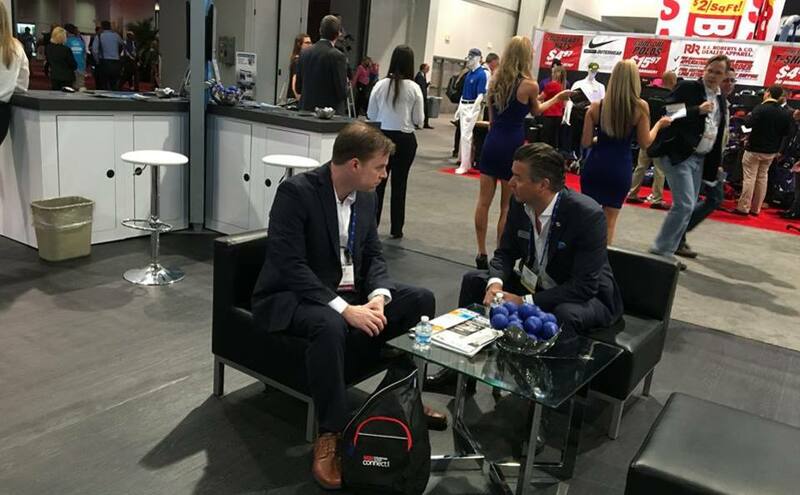 As a leading global digital marketing provider with specialized expertise in the automotive industry, the NADA show was the place to be for meeting with qualified prospects. 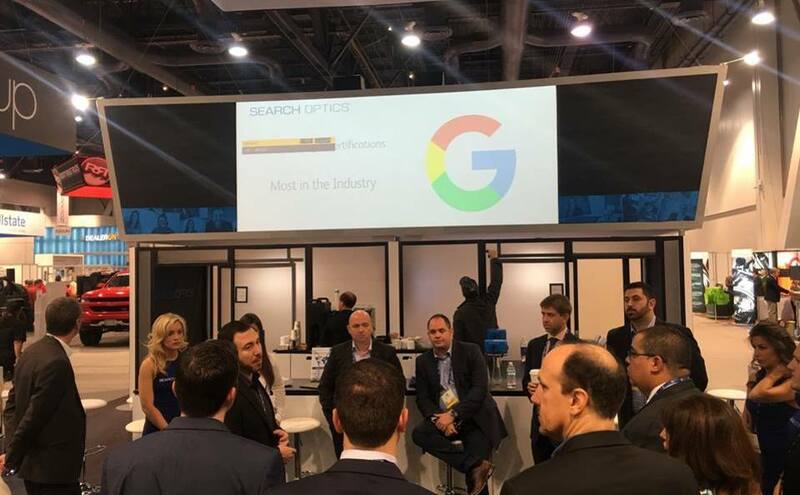 “We ended the show with more than two times the number of qualified leads we expected,” said Ashlie M. Dover, Marketing Operations Manager for Search Optics. 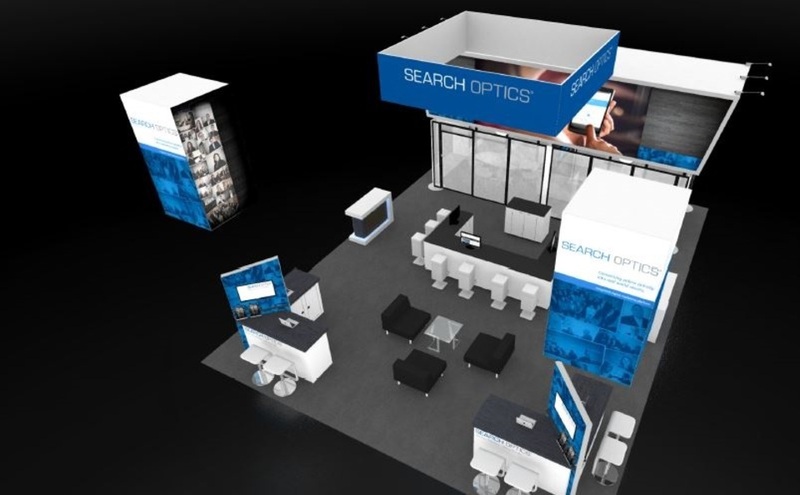 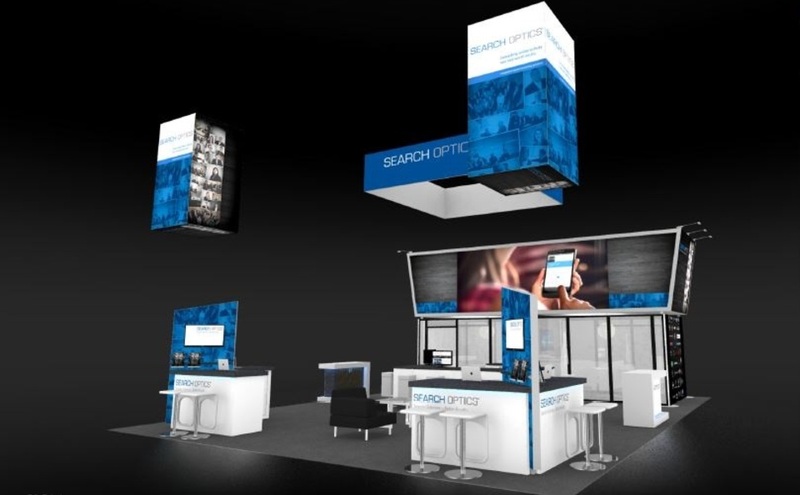 Search Optics, a global company with offices in the North America, APAC, EMEA and LATAM regions, asked for an exhibit space that would enable them to engage with a variety of sized groups, and in different kinds of conversations. 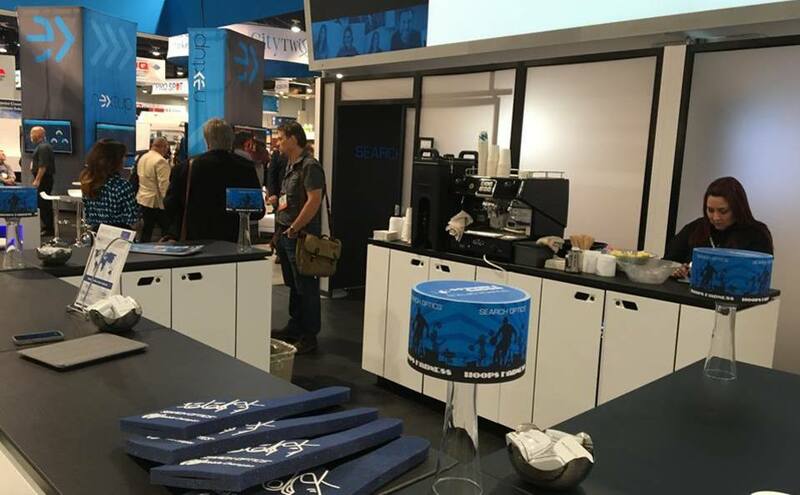 Skyline San Diego delivered with an impressive, yet open exhibit that could host up to 30 people at the same time. 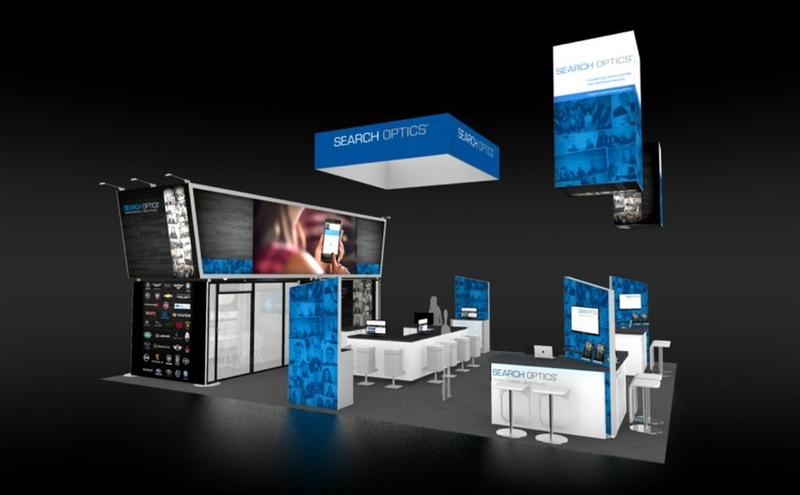 And more formal, high-value meetings that needed to be held away from prying eyes? 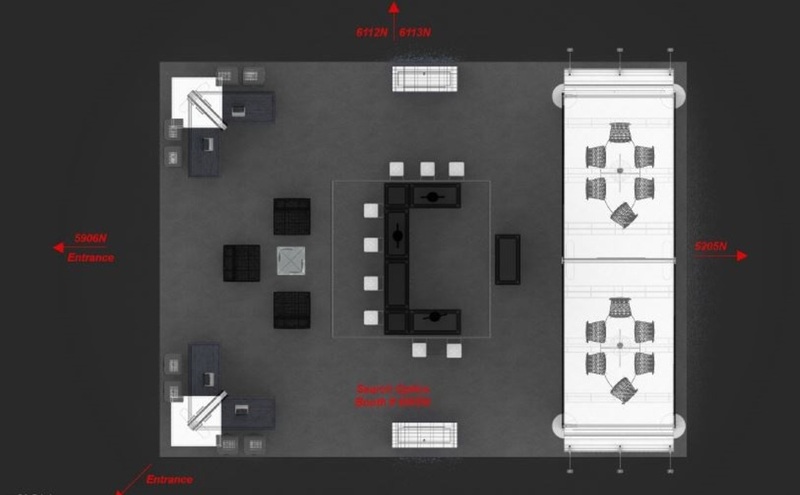 “The exhibit’s two conference rooms were great for private client and media meetings, shielded from some of the noise and show traffic,” said Dover. 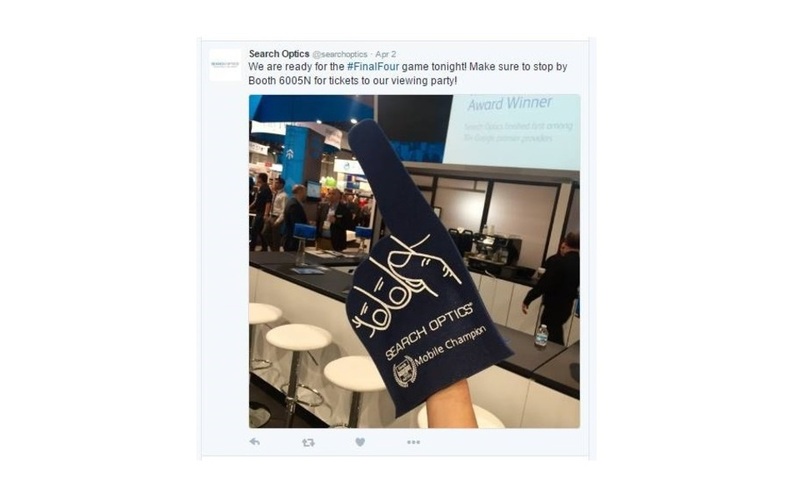 Besides exceeding their goal for qualified leads, Search Optics used the show to demo their industry-leading digital marketing platform, and to promote their award as the 2015 Google Mobile Champion. 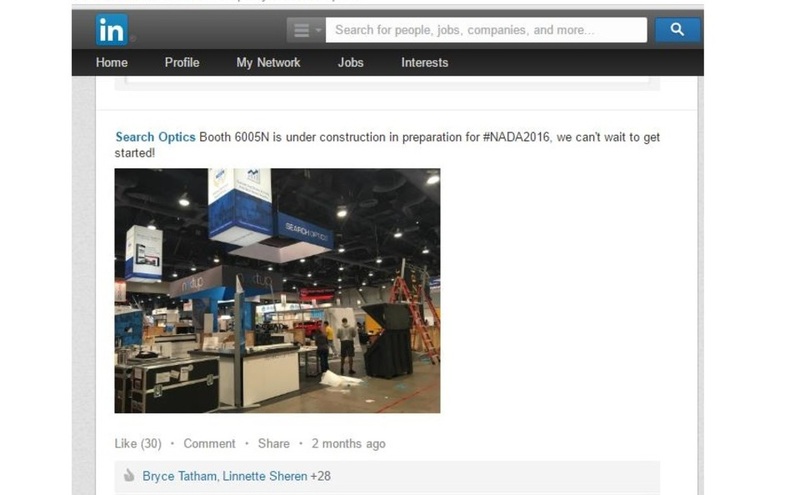 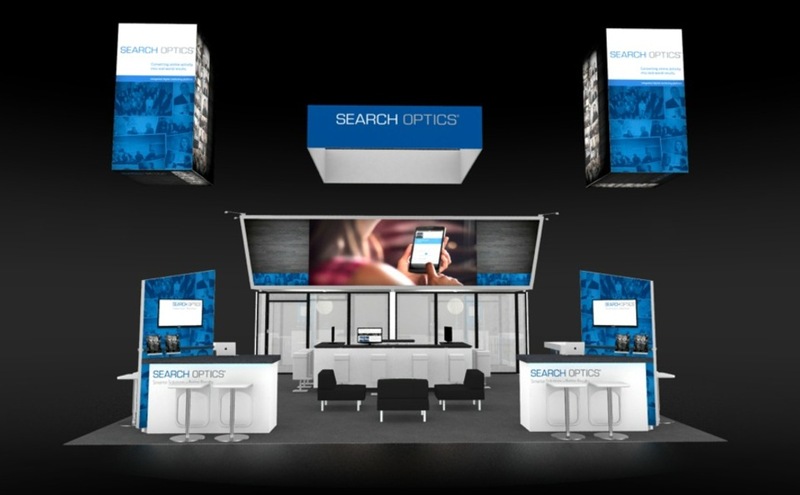 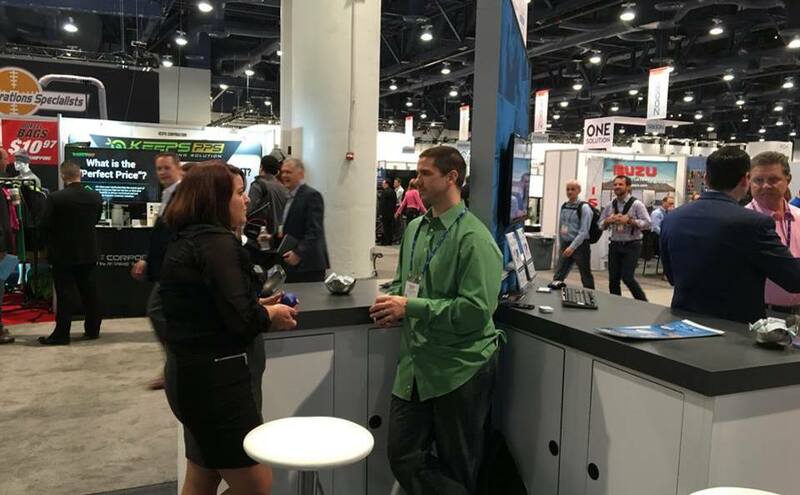 To help drive traffic, Search Optics promoted their presence at NADA via their blog, plus LinkedIn, Facebook, and Twitter, sharing renderings of their new display before the show, photos of the booth during set up, and many photos of the exhibit during the show. 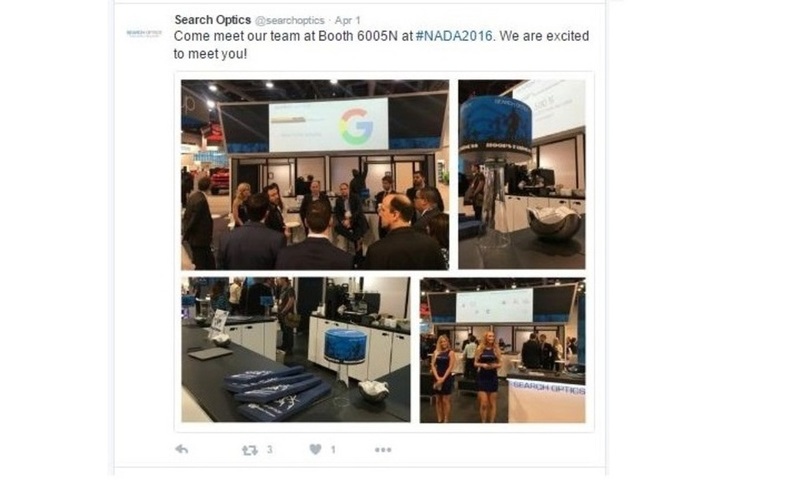 “Overall, our team was very happy with our success at NADA 2016,” concluded Dover.